Additional Info: Justine began studying piano at age 4. She entered in 1999 the Ecole Normale de Musique de Paris in the class of Ms. Victoria Melki, where in 2002, she obtained the “Diplome Supérieur d’Execution”. In 2004 she started to study at the Mozarteum University in Salzburg with Prof. Karl-Heinz Kämmerling, and from 2007 with Prof. Pavel Gililov. In 2008 she graduated her Bachelor degree and in 2012 her Master degree, both with honors. 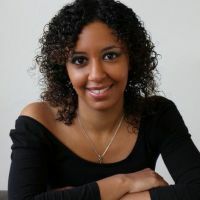 Justine has also worked in master classes with pianists such Milosz Magin, Jean-Marc Luisada, Dominique Merlet, Francois-Rene Duchable, Abdel Rahman el Bacha, Janusz Olejniczak, George Kern and Galina Egyazarova. In 2005 she was selected by Jean-Marc Luisada to participate in “The Super Piano Lesson,” master class devoted to Chopin broadcasted by NHK. 2000: “First Prize With Honors” from the “Sonatina and Sonata International Youth Piano Competition” in Corpus Christi (USA). 2003: 2nd Prize “Young Concert” Flame Contest and 2nd prize at the Milosz Magin International Competition. 2005: Prizewinner of the “Live Music Now” Menuhin Foundation in Salzburg. 2012 with the Orquesta Sinfonica del Principado de Asturias under the baton of Rossen Milanov. She recorded the 2nd concerto Milosz Magin in 2003 for the CD label “Acte Préalable”. Apart of her soloist career, she has collaborated with many of her colleagues, giving chamber music concerts as duo or trio; she has also worked as an accompanist and singer coach at the summer master classes AAMA (Salzburg) and FAVA (Périgord, France). In 2013, she was musical director in a production of «Don Pasquale» by Donizetti for the festival Oper im Park in Sankt Anton am Arlberg (Austria). She was hired in 2010 by the Orchestra Director Pedro Halffter to work as piano accompanist for choirs and singers at the Opera La Maestranza in Sevilla. She has also worked temporarily as a piano teacher at the music school of Bormujos (Sevilla). For the season 2013/14 she was the main pianist at the opera company «Sevilla de Opera».